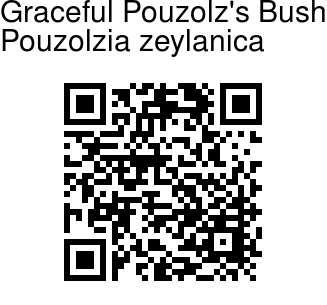 Graceful Pouzolz's Bush is a perennial herb, growing up to 20-40 cm tall. It is erect to suberect, hairy to smooth plant. 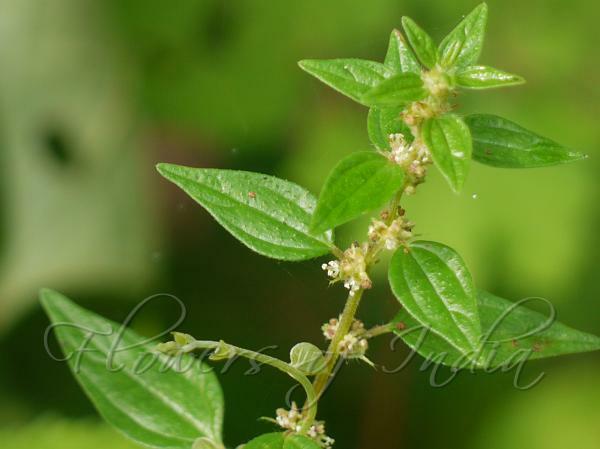 Leaves are opposite or rarely alternate, with 4-12 mm long stalk. Leaf blade is lanceshaped- rhomboid ovate, 1-2.5 cm long, 4-15 mm broad, wedge-shaped or flat at the base, entire, pointed. Stipules are broadly ovate, 4-5 mm long, 3-4 mm broad, acuminate, ciliate. Flowers are pale green, in loose axillary clusters, covered with hairs, female stalkless, male with 2 mm long stalk. Sepal cup is 4-lobed and gibbous in male; 4-toothed in female flowers. Stamens 4. Achenes are ovate, 1.5 mm long, shining black, enveloped by ribbed sepal cup. Flowering: July-October.